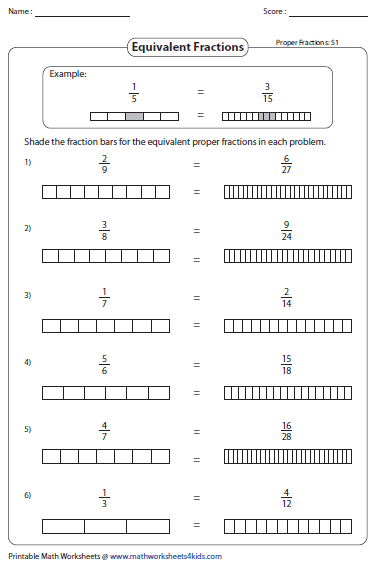 Equivalent fraction worksheets contain step-by-step solving process, identifying missing numbers, finding the value of the variables, completing the chain of equivalent fractions, writing equivalent fractions represented by pie models and fraction bars and representing the visual graphics in fractions. 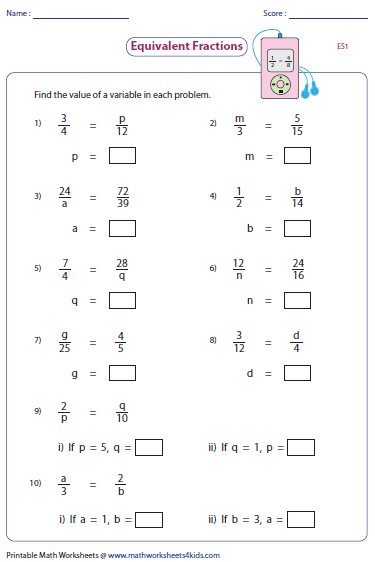 Each worksheet has ten problems finding equivalent fractions by undergoing a step-by-step process. 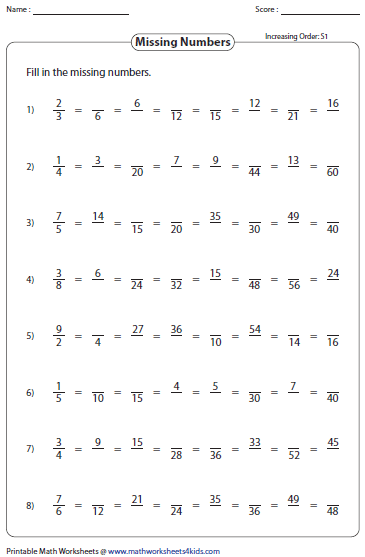 Find the missing number that makes the equivalent fractions. Easy level has 2, 3, 4 and 5 as factors. Medium level has factors between 1 and 11. Hard level contains factors in the range 2-25. Find the value of the variables that makes the equivalent fractions. 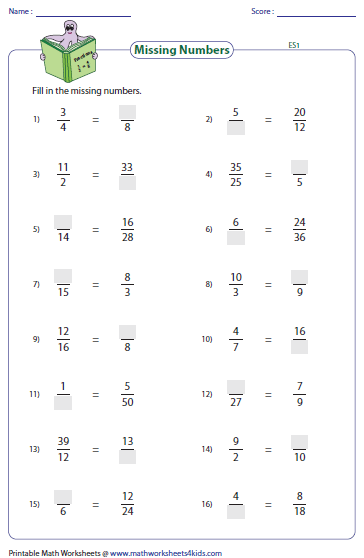 You may use cross-multiplication method to find the values. 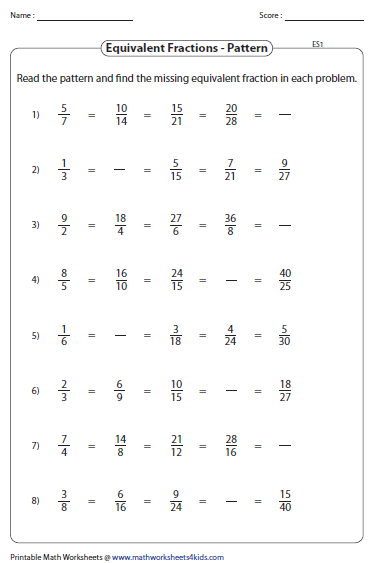 Each question has 8 equivalent fractions. Using the first fraction, complete the chain of equivalent fractions. 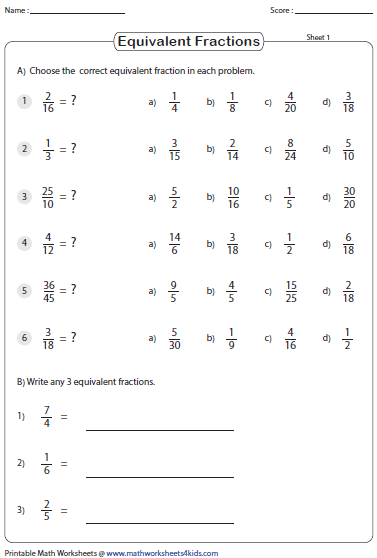 Each question has a bunch of equivalent fractions. Find the missing equivalent fraction by identifying the pattern followed by both the numerators and denominators. Hey! I give you the clue. Can you find what fraction am I? Type-2 have fractions expressed in word forms. Each worksheet has two sections. First section contains six multiple choices. 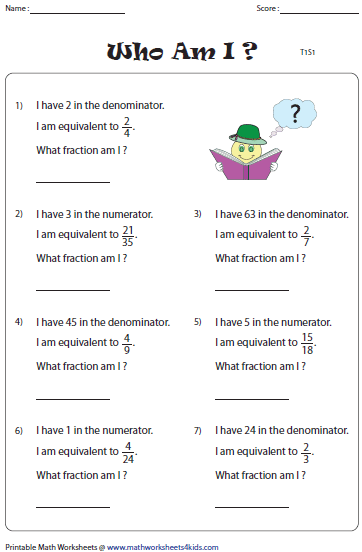 Second section contains questions on writing your own equivalent fractions. 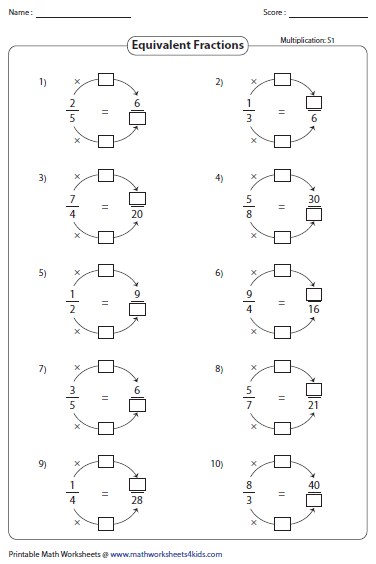 Insert the correct symbol to show the pair of pizza fractions are equivalent or not equivalent. 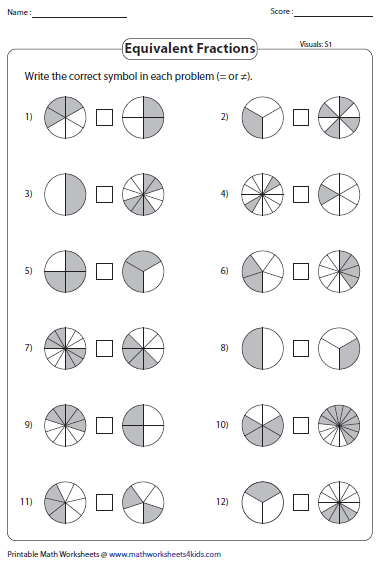 Each question has a pair of equivalent pie models. 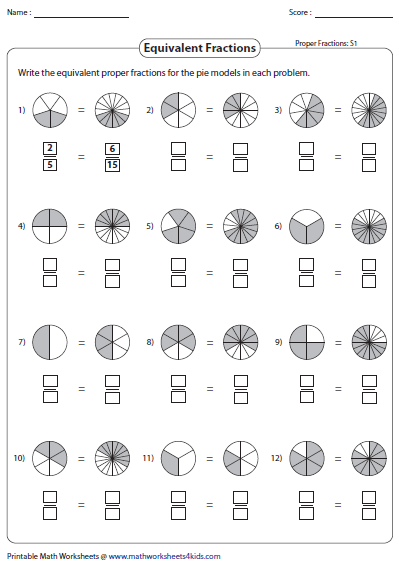 Express the pizza models in equivalent fractions. 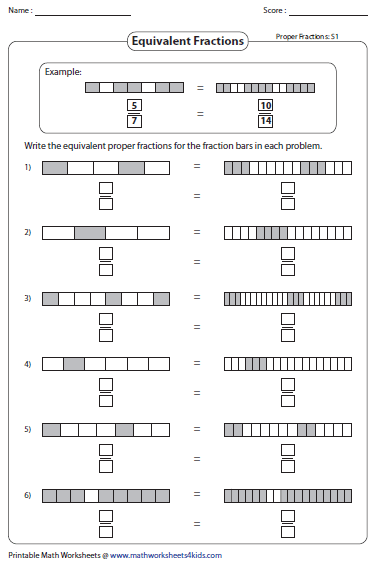 Look at the equivalent fraction bars and write the fractions represented by them. Shade the pie wedges to represent the equivalent fractions. 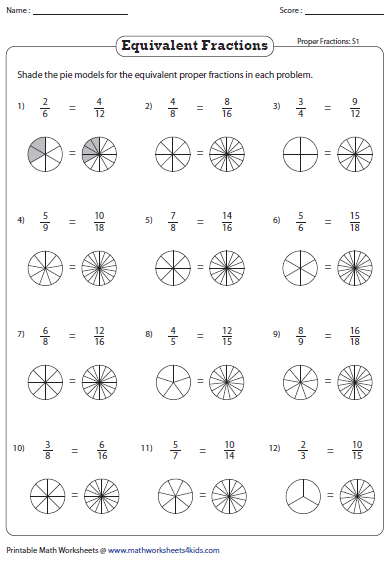 Ask the children to color the visual pie graphics (not compulsory). Color (or shade) the fraction bar to represent each fraction. See how they are equivalent.